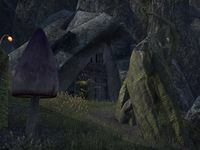 Some have speculated that this site comes by its name because this is where the famous Nord author Taleon Mythmaker chose to retire after his bitter literary feud with Helgreir Lute-Voice. Phrastus of Elinhir, however, regards this theory as "fanciful twaddle." 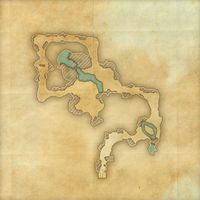 Taleon's Crag is a cave in southern Deshaan, just south of the Vale of the Ghost Snake containing Kwama.